This powerful lens cloth is one of the best tools available for cleaning prescription eyeglasses, sunglasses, camera lenses and other optics. It quickly eliminates all dirt, dust and smudges without leaving behind lint, streaks, scratches or anything else. The premium quality material is super soft, and it cleans so well that you will even remove dirt and build-up that is invisible to the naked eye. The glass will be left clear and polished with absolutely no signs of the dust, dirt, grease, fingerprints and other stuff that used to be covering it. Stop using overpriced cloths and expensive sprays to clean your glasses, but don't take a risk by using something that might cause scratching and other damage. A dry cloth alone will remove almost anything in a matter of seconds, but for tough grime or thorough cleaning, get it damp with regular water to increase cleaning power. You never need chemical sprays, and the results will be better than what you are using now. Each one is washable, reusable, and durable enough to last through thousands of cleanings. Unlike cheaper versions, our lens cleaning cloth is made from the highest quality Korean made microfiber, and this makes it unmatched in its ability to thoroughly clean delicate surfaces without risk of damage. You will notice that it is softer and thicker when compared to similar cloths, and this heavier weight material and premium finish enable it produce better results. With just a single swipe, it will lift dirt up off your lenses to lock it within the plush fibers. Grime will remain trapped and away from the glass as you continue to wipe to a streak-free and lint free finish. Other cloths glide over tough grime, and only spread the greasy stuff around. This one absorbs oily fingerprints, and gently lifts off sticky and gooey dirt to leave your eyeglasses clear. Don't get duped by similar looking pictures of flimsy, stretchy imposters that will never work as well or last as long. This one delivers guaranteed performance, and the low price makes it an incredible value. Prefer a different size than what is offered here? We have several other cloths that come in a variety of sizes that you may like better. Some have identical material, and others have similar material that will also work on your glasses. Same material: CD/DVD Cloth (8" x 8"), Screen Cloth (12" x 12") & Polishing Cloth (16" x 16"). 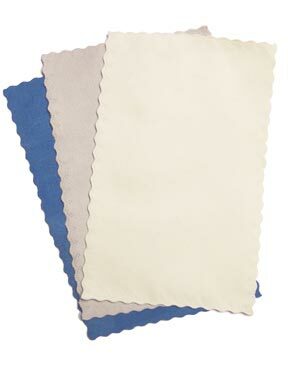 Comparable material: Camera Cleaning Cloth (9" x 10.25") & Tablet Cloth (12" x 8.25"). Cleaning prescription eyeglasses, sunglasses, camera lenses or anything similar is super easy when you use this cloth. You never have to worry about scratches, lint or other annoyances, and you are guaranteed to safely remove that crud that is clouding your vision. With no special sprays or solutions to accompany it, finishing the job to satisfaction takes less than a minute. For most cleanings, a dry cloth is all you need. For deep cleaning, or to remove dirt that is stuck, get wet to increase ability. To clean wipe until clean. Standard build-up like fingerprints, dust and smudges will wipe right away leaving the surface incredibly clean in just seconds. A technique of using your thumb and forefinger on opposite side of the lens with the cloth in between can be a quick way to clean both sides at once. Wipe from top to bottom, and side to side to cover all area without missing a spot. If the grime is particularly bad, then you will want to get the cloth damp with water to increase the cleaning power. Simply wet under the faucet, and then wring until it no longer drips. Once wet, wipe again and this lens cloth will cut through, and remove the toughest dirt and residue. A single pass will completely clean the surface and polish it at the same time. Use a dry cloth, or a dry portion of the same cloth to wipe away any remaining moisture. If properly dampened, the water should dry within one or two seconds, all by itself. Laundering should not be needed after a single use. It will take many. When totally dirty machine wash and reuse. Perfectly suited for any type of eyewear, but also great for other surfaces too. Superior quality microfiber will get any lens incredibly clean, but you can also use one for other tasks too. Eyeglasses, sunglasses, goggles, reading glasses, etc. Camera lenses, touch screens, view screens, etc. LCD screens, mobile phones, TV's, etc. Chrome, stainless steel, silver, gold etc. Windows, mirrors, drinking glasses, crystal, etc. Our lens cloth will never scratch thanks to the ultra soft material and unsewn edges. In order to eliminate any possibility of scratching and also prevent fraying, the edges are thermally welded instead of sewn. This means there are no hems, or stray threads that might scratch your surface, but the fabric is still prevented from falling apart over time. Although they are softer and more substantial than other versions, they do not drop material as you clean. The suede-like material will stay slightly fluffy to make your job easy, but none of that fluff will end up on your lens. They are much softer than regular microfiber, and the smooth finish provides a thorough clean with no damage possible. These may look similar to other small microfiber cloths out there, but the high quality material sets them apart from the rest. These lens cleaning cloths are not treated with any chemicals, and you don't need to use anything extra when you clean with them. A dry cloth alone, or one merely dampened with water, is all you need to clean any lens or pair of glasses. When used alone, you will be removing 99% of all contaminates thanks to an 80/20 blend of top quality polymers that are meticulously woven into dense masses of tiny hooks & loops. The effective and durable material combines with superior manufacturing to make these better at cleaning, and that allows you to spend less time and get improved results. Stop guessing about what to use, or overpaying for professional recommendations. These cost slightly more than settling for the back of your shirt, but your vision and lenses will thank you later. Order Yours Today! Dimensions (l x w) 5" x 8"
Microfiber Lens Cleaning Cloth - Stop using chemicals and harsh cloths to clean your glasses and camera lenses. A damp microfiber cloth is all you need to clean any lens. Won't Scratch any Surface! Order Yours Today! Best lens cleaner I have found! Wonderful company to deal with! Very impressed with their customer service. These cloths are great. I use them for dusting and cleaning my furniture. These microfiber eyeglass cleaning cloths are top quality! I'll always buy my eyeglass cloths from you. Yours are the most absorbent, so they work the best! I sought out better fabric microfiber cloths after I grew tired of using cheap polyester microfiber cloths (the majority that you see in stores nowadays) which leave smudge trails on your eyeglasses after use and just don't feel right. This microfiber cloth has the perfect fabric to catch all the lint and grit without retaining it or leaving smudge trails. I literally enjoy cleaning my eyeglasses now since these cloths work so well to prevent scratches and to perform their job by cleaning my eyeglasses back to store window shape. I love these for cleaning glasses. They're just the right size, clean real good and are not expensive. Great for cleaning eye glasses!! Microfiber lens cleaning cloth is a good product. i will order again. I hand washed and machine washed the cloth several times now, still linty. At least one other cloth is needed to remove the lint. Cleans well except for the added effort. I have used many products (clothes/sprays) to clean my glasses and this one is by far the BEST! I am a fanatic about getting my lenses clean. You don't need any type of liquid, just use the cloth. I have shared several of the glass cleaning clothes with friends and families. I'm certainly glad that I found them. These are superior to what I receive at the eye doctor's. I have used many types of cloths and liquids to clean my glasses. These cloths are the best I have ever found... Do an excellent job and can be washed and used again over and over... Thank Yoou! Big and thick enough to easily clean your glasses or lenses. The freebies from the optometrist are tiny and far too thin for thick or arthritic fingers, and a couple of these cloths around the house/office solve the issue simply and directly. No brainer, really. They work very well and last forever. Love it. I order a dozen and hand them out to my glass wearing friends. They work wonders. These microfiber lens cloths are the easiest,fastest and best way I have found to clean my glasses. My doctor sold me cloths like these and he charged me 6 dollars for 1 cloth and a bottle of spray, I don't need spray with these cloths just wipe my glasses and go. The lenses cleaners work great. Service was right on time. I would recommend this product and vendor. The cloths do a really nice job of cleaning my lenses, especially grease smears. Good sized and fit comfortably in a pants pocket. Very soft cloth that does the job. Cleans glasses,watch crystals,I-Pod screens and much more and after you wash it its as good as new.Well worth the money. I purchased a couple for home,a couple for the office and one to carry with me. Order arrived today. Thanks so much for keeping in touch. Lens cloths are wonderful and I'm pleased. I haven't had the cloths long, but have used them several times. They seem to work well. I have other ones, but these 8x8 pieces work better because of the size. Things got a little confused with the order but was able to clear things up no problem and everything turned into simply good stuff... I would shop there again no problem.. Lens Cleaning Cloth perfect. with the new coated lenses it is more complicated than ever to keep glasses clean. these cleaning cloths work great and buying them by the dozen at a good price is the perfect way to be sure you have one when you need one.. and they make very thoughtful gifts. Received microfiber lens cleaning cloths very speedily. They really do a great job on lenses of glasses. Would purchase again. Excellent product & great price!!! EXACTLY what I needed! Great product and for a great price! Excellent quality!! I finally found a cloth that helps in keeping our eye glasses clean without scratching the lenses. Very, very good product. Cleans my eyeglasses better than the other specialized cloth that I was using. I have bought a total of 32 of these to give away as gifts. The only drawback was that the 10-pak didn't come individually wrapped, but all in one plastic bag. No biggie. Once I got mine out of the bag, I never put it back in anyway. It just would have been nicer to give them wrapped individually. These lens cleaner cloths pretty much do what they say they will do. Very handy and much better than those little packets with a "wet" wipe in them. Excellent product and also nice looking. Great cleaning cloths for my glasses and my ebook reader. I really like these wipes. I have used this for MORE than what they suggest !!! I rely on this for my LCD TV, Computer screen & IPAD, for none scratch cleaning between regular cleanings. I will order more !!! YOU SHOULD !!! Best I have found to clean eyeglasses without streaks or smuges. Great value. I love them, but I want to know the best way to clean these cloths. ---Do I just toss them in the washer with the rest of my dirty clothes? That just seems a little odd. Odd as it sounds, you can do just that. They are totally machine washable and low maintenance. When cleaning, just make sure to avoid fabric softeners and bleach as they will ruin performance over time. If washing in a towel load, be aware that they can sometimes collect lint from other items while washing. I like a large size 12x12. do u have an? wHAT IS THE SMALLEST SIZE BUT HIGHEST QUALITY i CAN BUY FOR CLEANING MY EYEGLASESS? This is our highest quality small cloth currently, and it's perfect for eyeglasses. i have purchased online micro fiber cloths before and they are thin. 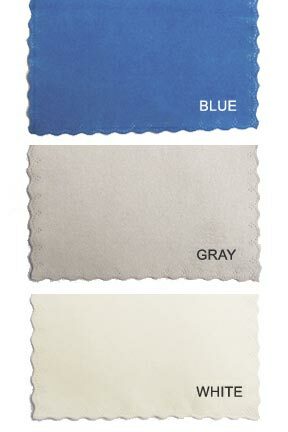 I am searching for thick cloths that last for a long time even after washing, is this the type you offer? Yes. 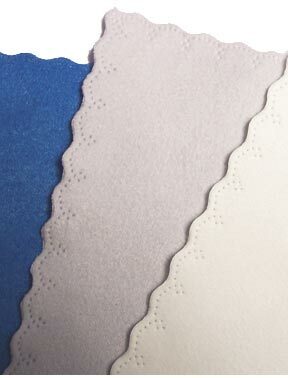 Ours are easily 2 or 3 times as thick as common alternatives, and they are super soft and long lasting. Don't let the low price fool you. You won't be disappointed with these high quality cloths. can you put photo's on the cloth ? Yes you can. If you order enough, we can do it for you, otherwise any local printer could do a smaller batch. For more info, check out our Custom Printed Cloths page.